A research team from the South Korean Sungkyunkwan University has developed a technology that can control graphene electronic device through static electricity. The team has developed a gate that utilizes the graphene electrostatic phenomenon; Static electricity that occurs from friction is trapped inside of a lower board and serves as a gate. Unlike current materials, formation, modification, and elimination are said to be possible with this technology. The team aims to make the process that forms a gate which will control current from an electronic device unnecessary. As a result, integration with high density should be possible and it is expected that this technology will reduce cost and time to manufacture electronic devices. An international team of researchers from the Center for Integrated Nanostructure Physics at the Institute for Basic Science (IBS) and Department of Energy Science at Sungkyunkwan University in South Korea, has devised a new technique for creating a graphene-based MSC (solid-state micro-supercapacitor) that is said to deliver improved electrochemical performance, with a design based on the intricate design of leaves. The team designed their MSC film structure in compliance with vein-textured leaves in order to take advantage of the natural transport pathways which enable efficient ion diffusion parallel to the graphene planes found within them. 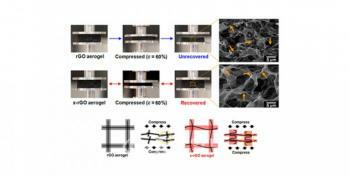 To create this efficient shape, the team layered a graphene-hybrid film with copper hydroxide nanowires. After many alternating layers they achieved the desired thickness, and added an acid solution to dissolve the nanowires so that a thin film with nano-impressions was all that remained. 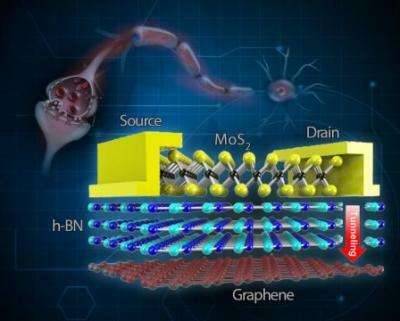 Researchers from the Korean Sungkyunkwan University announced the development of a sponge-like electrode material using graphene and a polymer that enables the assembly of a light and efficient graphene battery. The electrode was made from porous graphene aerogel that was a result of combining alcohol and graphene. The graphene aerogel electrode material is easily compressed and highly durable, with about 90-99.9 percent of it filled with air and pores smaller than 100 nanometers that form a 3D web.